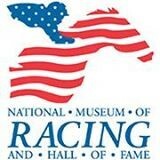 The National Museum of Racing and Hall of Fame is pleased to present its inaugural Photo Finish juried photography exhibition this winter. The new exhibition will open to the public in the Museum’s von Stade Gallery on Sunday, Jan. 20 and remain on display through March 10. The Museum is open to the public Wednesday through Sunday from 9 a.m. to 5 p.m.